Hello guys! I’m back from my summer break and I’m excited to get things rolling on the blog again. There are lots of new posts in the works for this month, but first I wanted to start by taking a look back. July marked our one year anniversary in San Antonio and I thought it would be fun to see how our home has changed over that time. It’s hard to believe it has been a full year already. 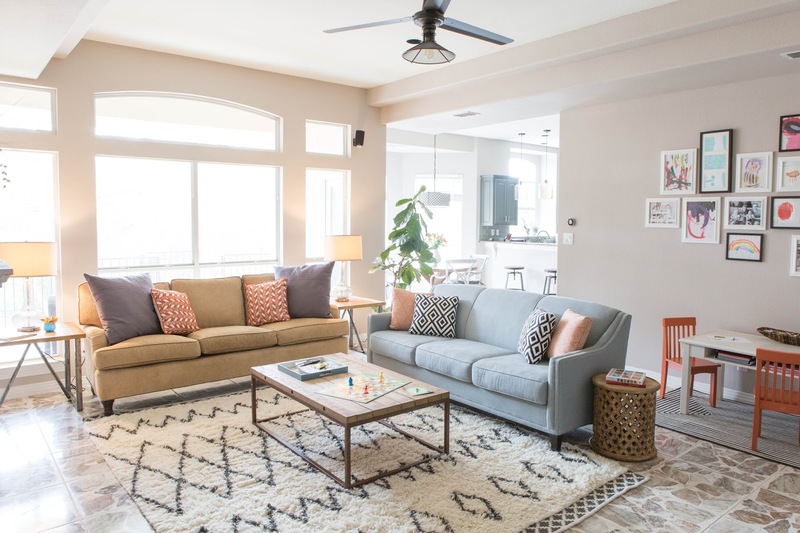 The first few weeks after moving in were filled with the hustle and bustle of contractors in our house – we replaced the carpet upstairs with hardwood floors, updated the kitchen by painting the wood cabinets and installing a new backsplash, and updated lighting fixtures throughout the house. 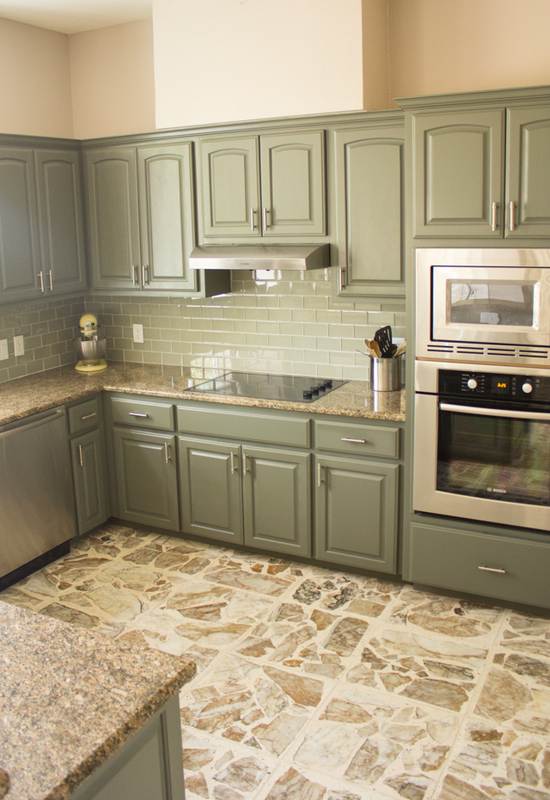 The kitchen was probably the room that took on the most dramatic change. You can see the before here. 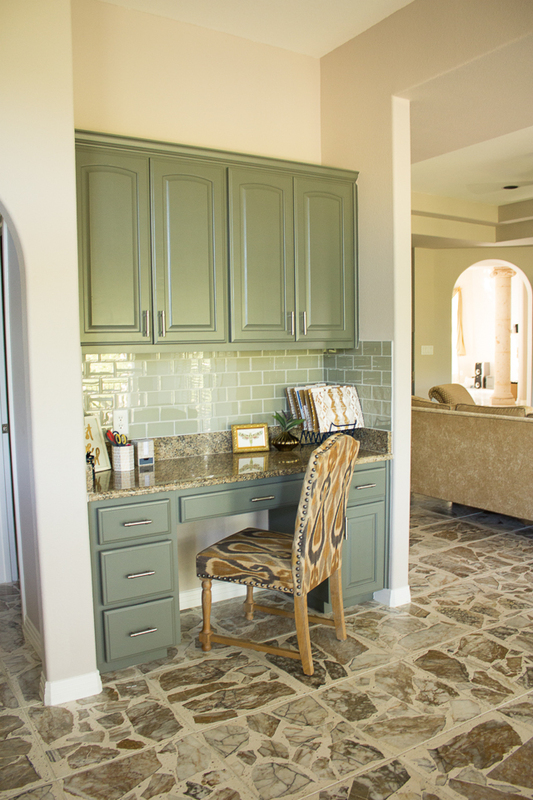 I love how the painting the cabinets a gray-green color helped them blend in more with our crazy stone floors. We also updated this little kitchen desk area which I frequently use for blogging or the girls use for computer games. 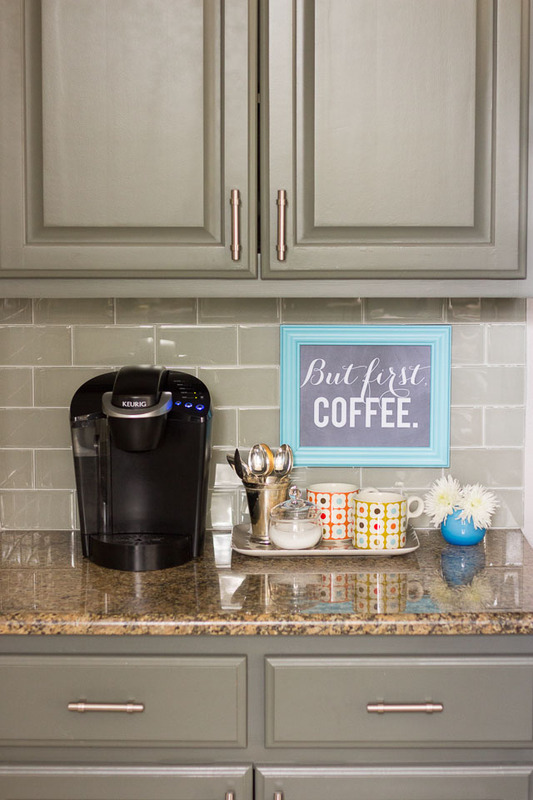 This little coffee station was a simple addition, but now one of my favorite parts of the kitchen. It took me awhile to get motivated to organize this pantry, but once I found a system that worked it has been really easy to maintain. 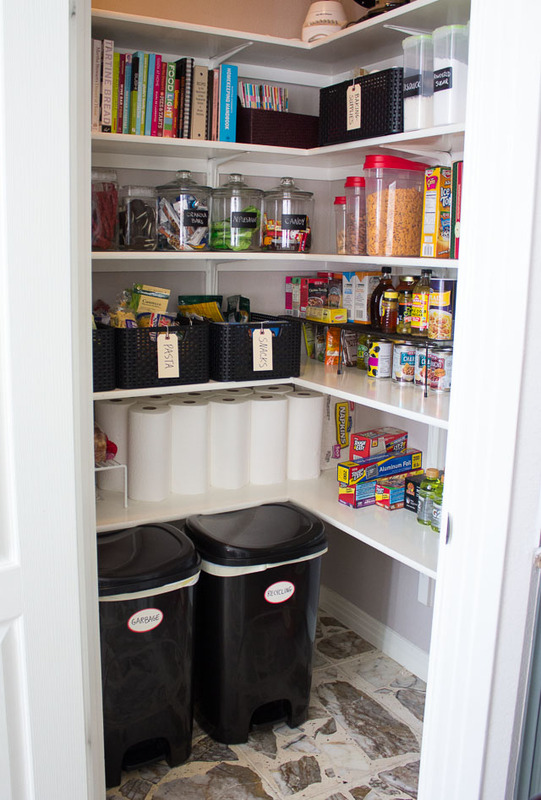 My post on pantry organization has been one of my most popular posts this year! The family room came together slowly over time. You can see some of its initial stages here. We went months without a rug or a coffee table. Adding those two items and some finishing touches like new lamps and accent pillows made the space feel complete. 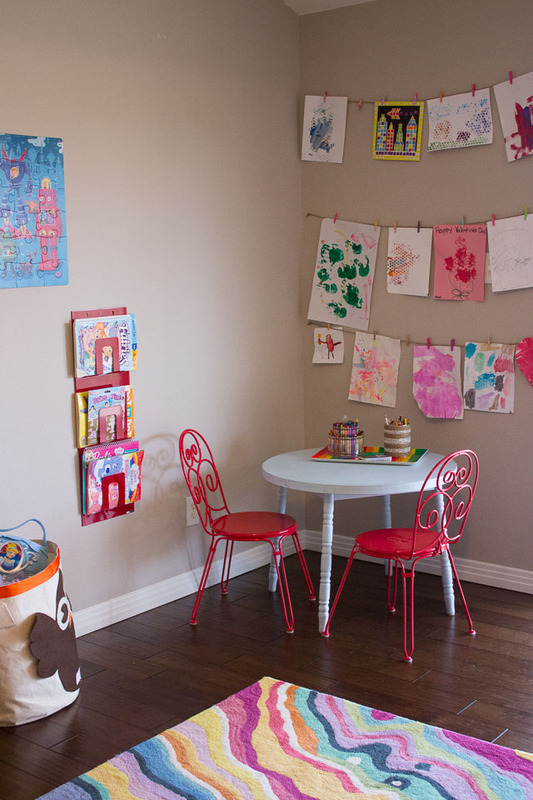 I also created this gallery wall of family photos and the girls’ artwork and carved out a corner of the room for their play table and toy storage. 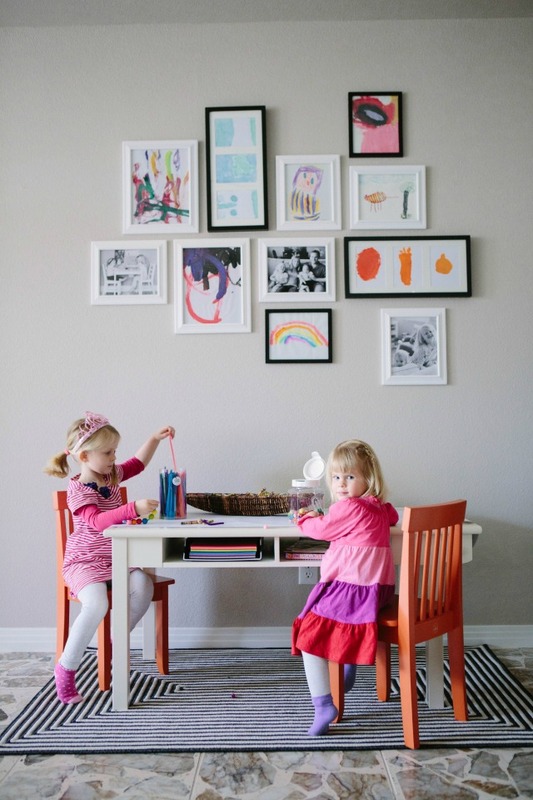 I’m so glad we have this space for the girls – it is the most used area of our whole house! 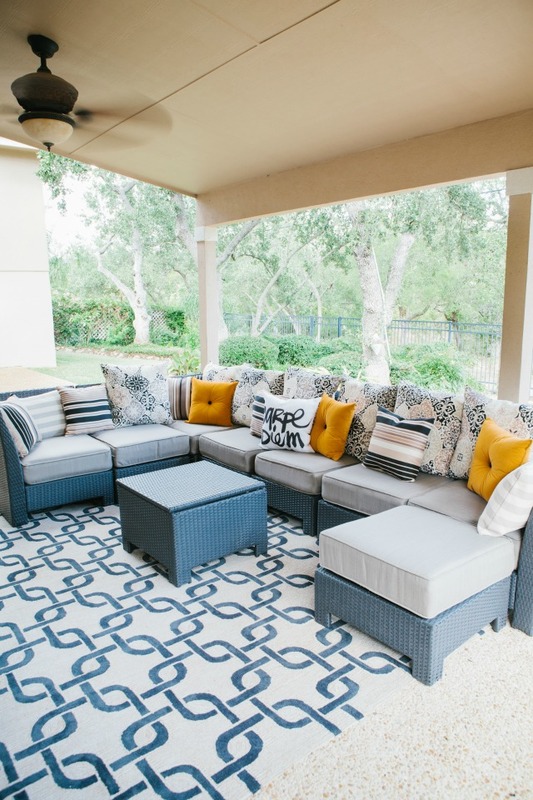 The patio was one of the first areas that we outfitted with new furniture because we were so excited to take advantage of our new outdoor space! This comfy outdoor couch has seen a lot of use this past year. 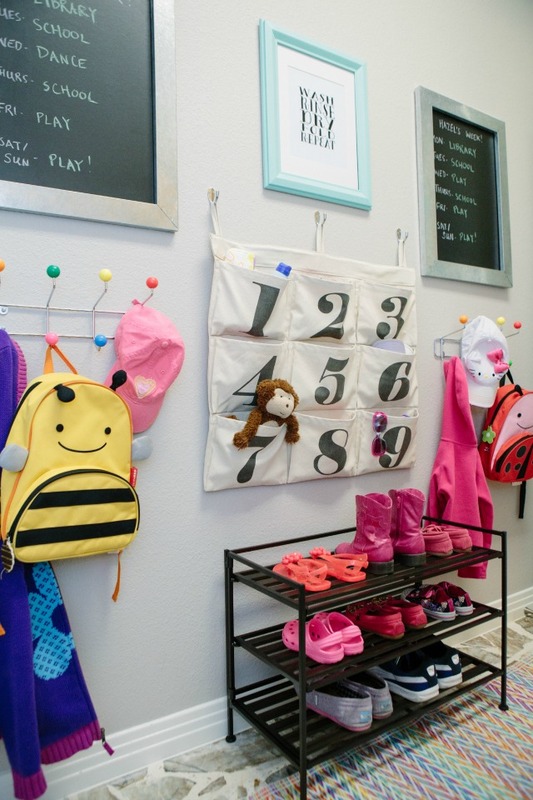 It’s no surprise that having my own craft room was the highlight of our new home home for me! I had dreamt up the design for this space long before we moved. I was happily surprised that my design actually came to life as I had envisioned it. I was thrilled that you all loved it too – the room appeared on Apartment Therapy and the cover of Creative Spaces magazine this month!! 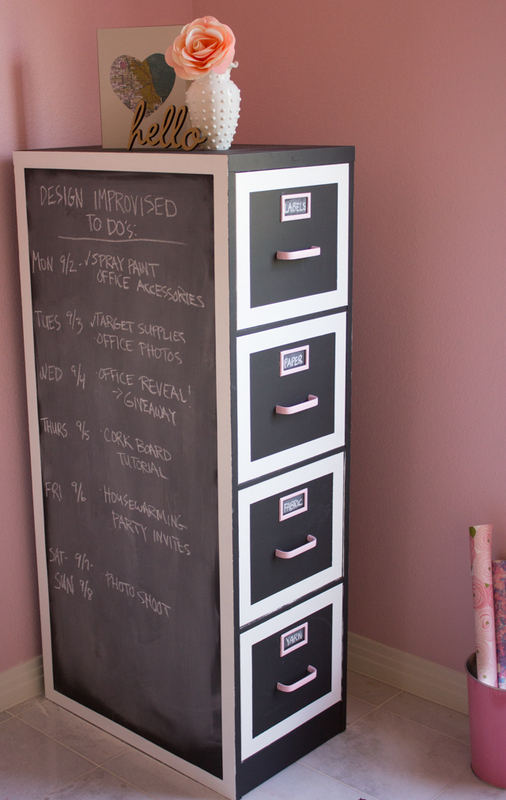 This updated file cabinet was my biggest DIY project for the room and turned out to be one of Design Improvised’s most popular projects of all time. 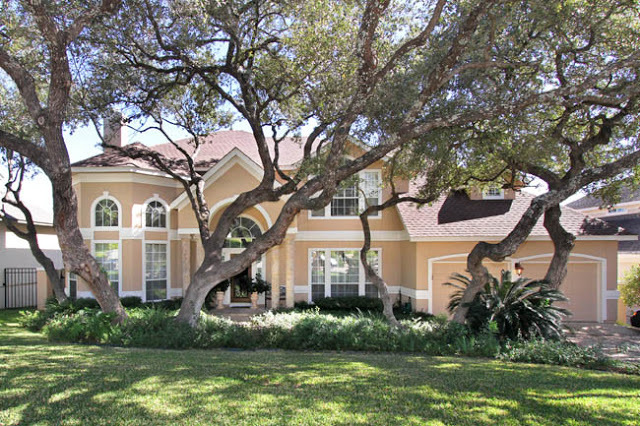 There are a couple areas in our previously all-beige home where a bold new paint color made all the difference. 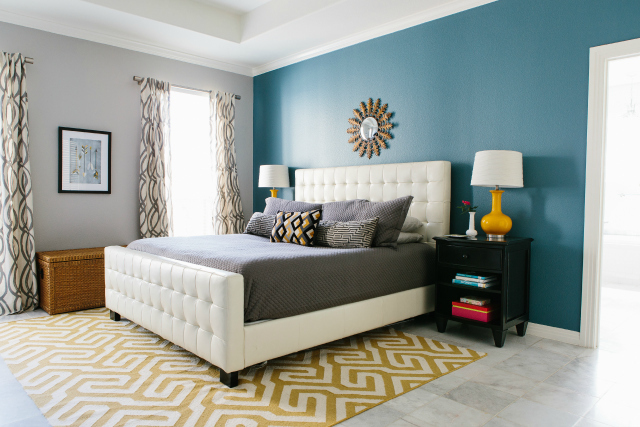 The pink office was one area, the new blue and gray walls in our master bedroom are another. I love all the colors and patterns going on in this room. We kept all the same furniture from our Chicago condo, but created a whole new look for the room with a new rug, lamps, and some fun artwork. 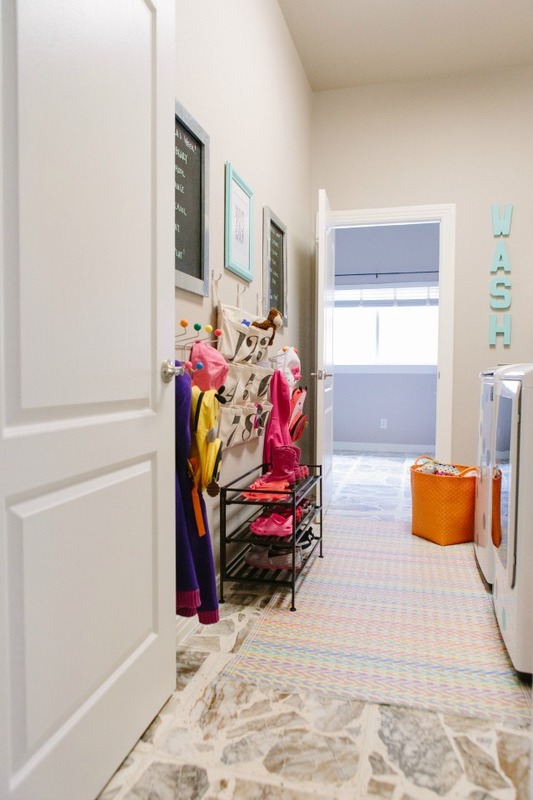 While I wouldn’t consider a laundry room an exciting decorating challenge, I ended up having a lot of fun with it. I added polka dots to the washer and dryer and converted a blank wall into a mudroom command station for the girls. The playroom has remained more or less similar to the girls’ playroom in Chicago, but I did add a couple fun additions like this art wall. 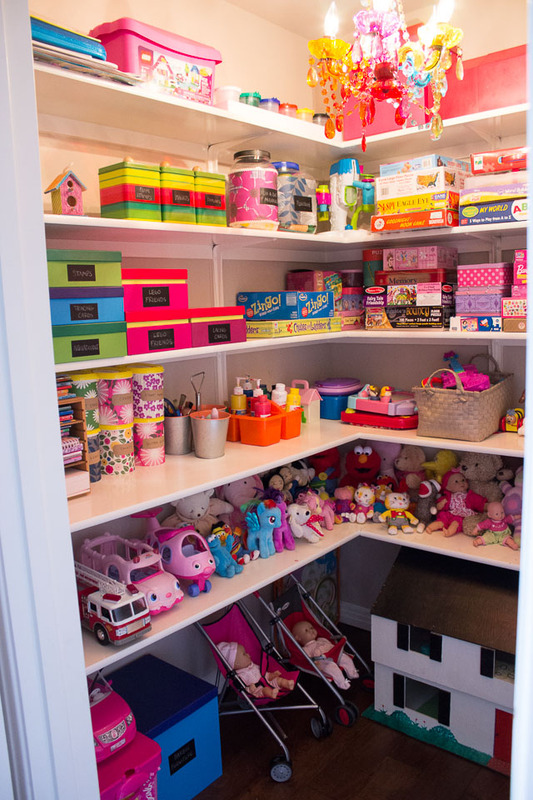 And I organized their playroom closet to give some order to their chaos of toys! 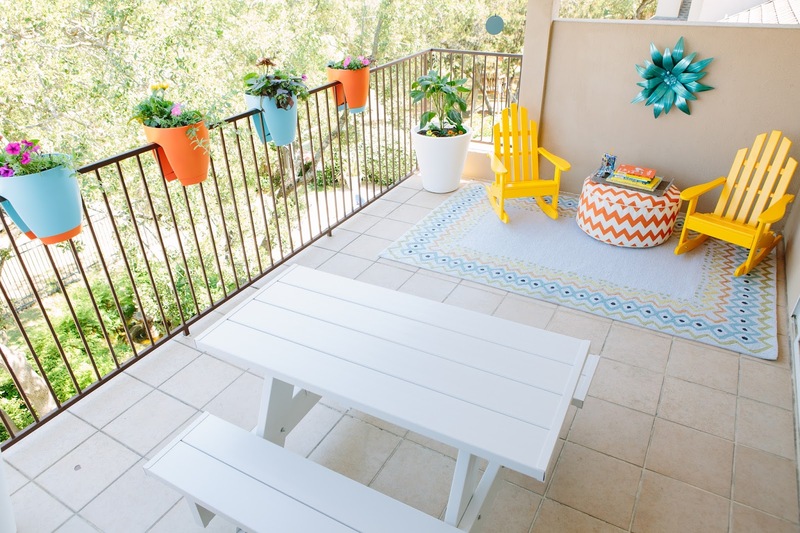 There is a balcony off of the playroom that we converted into an additional outdoor play space. Such a great thing that we can use year round. Although I’m struggling to keep these flowers alive in the Texas heat right now! We’ve loved having the space to accommodate family and friends visiting us this past year. 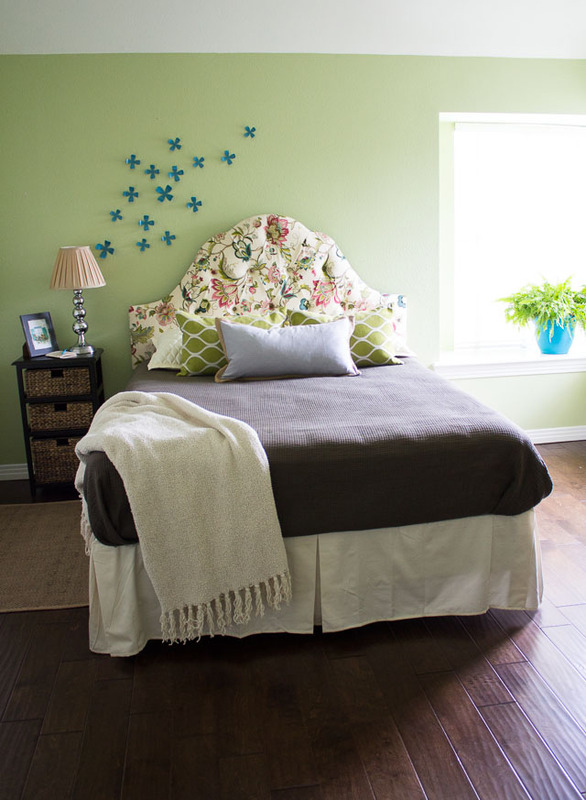 This guest bedroom came together by repurposing old furniture in new ways and adding a couple DIY touches, with the pretty headboard being the only new purchase for the room. Wow, looking at it all at once definitely makes me feel good about what we accomplished this past year! 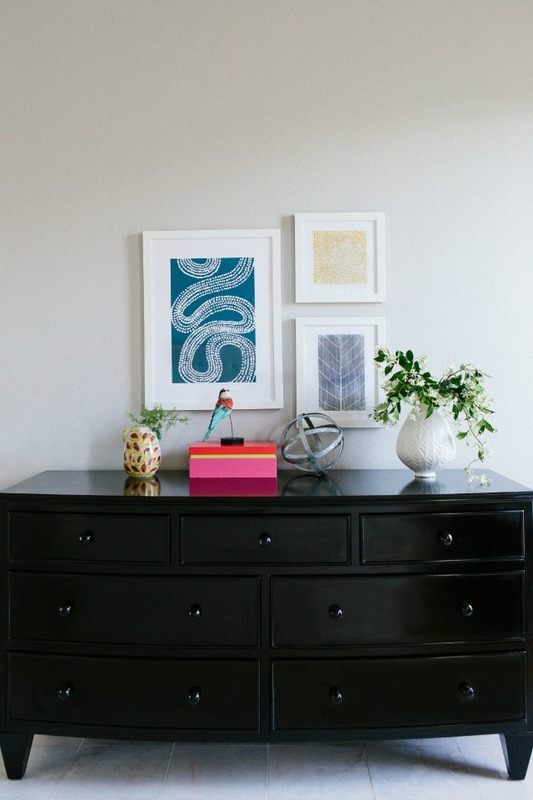 This blog has been a huge motivator for decorating our home and it has allowed me to partner with some really great companies to do so. A big thanks to Hayneedle, Land of Nod, Home Decorators, Minted, and Sherwin-Williams for collaborating with me on many of these rooms! We’ve got more rooms in the works right now including the girls’ shared bedroom and Ross’s man cave. I can’t wait to share those with you in the next month! 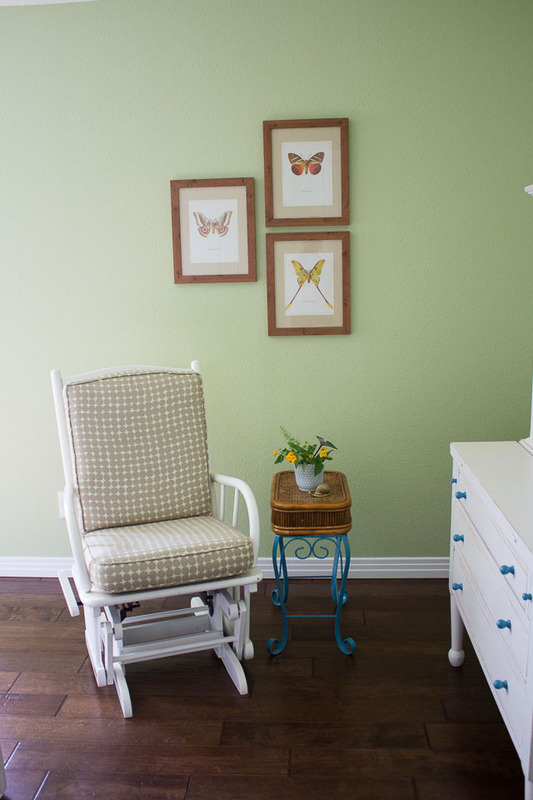 Thanks to Candice Stringham for the photos of the family room, patio, master bedroom, and laundry room!